2012 GMC ACADIA DENALI 3.6L V6 AWD LOADED WITH A VOICE ACTIVATED NAVIGATION SYSTEM, REAR VIEW CAMERA , FRONT AND REAR PARK ASSIST WITH DISPLAY, HEATED/VENTILATED LEATHER SEATS, MEMORY SEATS, MULTI-FUNCTION LEATHER WRAPPED STEERING WHEEL,ON BOARD COMPUTER, PREMIUM SOUND SYSTEM, BLUETOOTH, REAR SEAT ENTERTAINMENT SYSTEM, TURN SIGNAL POWER FOLDING MIRRORS, POWER HATCH, AMBIENT INTERIOR LIGHTS, CENTER PASSENGER CAPTAIN SEATING ,FOLDING 3RD ROW SEATS AND RUN ON GOOD TIRES ON THEM AND MUCH MORE............WE FINANCE, BAD CREDIT NO CREDIT NO PROBLEM, APPROVAL IN MINUTES SAME DAY DELIVERY GUARANTEED...........CALL 215-288-5277.......DO NOT HESITATE TAKE YOUR DREAM CAR HOME TODAY !! 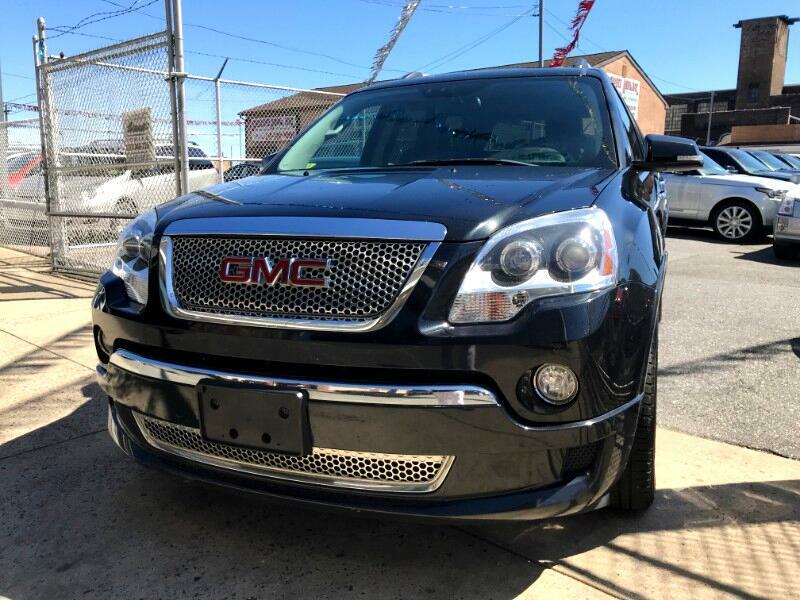 !...PRICE IS BASED ON $2,000 DOWN PAYMENT,PURCHASE OF THE EXTENDED SERVICE PLAN FOR 2 YEARS AND 24,000 ADDITIONAL MILES.......TAX, TITLE, REG. DEALER FEES ARE NOT INCLUDED.